•	Interchangeable reﬂectors to achieve different beam distributions. 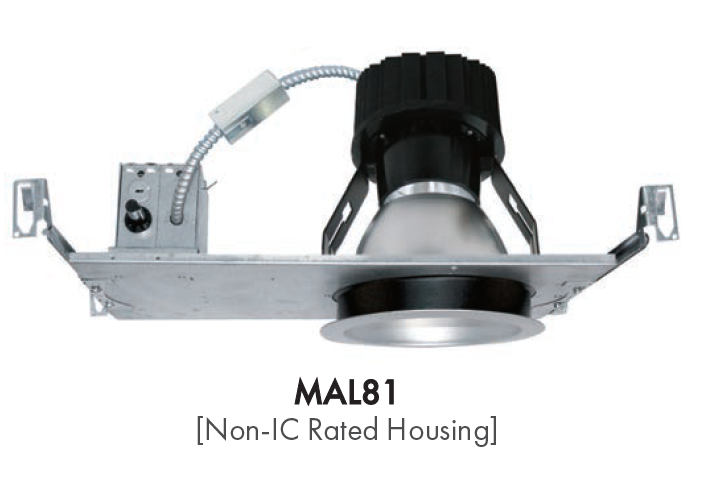 •	Trims for straight downlight, adjustable and wall wash application. 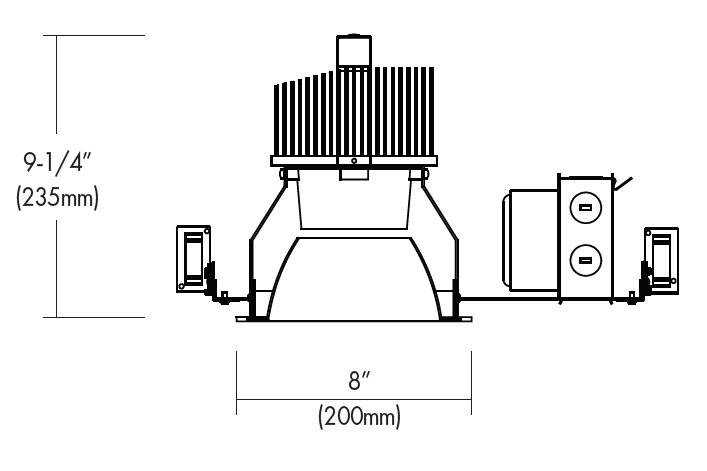 •	Sloped angle cut reﬂectors for direcional adjustment for ﬂexible illumination of targeted areas. •	0~30˚ tilt and 358˚ rotation with positive locking. •	Dimming capability is standard with 0-10V dimmer switches. •	Optional Lutron Hi-lume A-Series, LED drivers and EcoSystem 5-Series LED drivers are available. Lutron drivers provide ﬂicker-free, smooth, continuous dimming down to 1% for Hi-lume and 5% for EcoSystem. (Contact factory for dimming system requirements) •	Certiﬁed to IESNA LM-79: Approved Method for the Electrical and Photometric Testing of Solid State Lighting. The U.S. Department of Energy (DOE) veriﬁes product test data and results. LED chip sets are in compliance with LM80.